This is an Hungarian Vizsla. She looked so serious. She worked very hard at ignoring me. 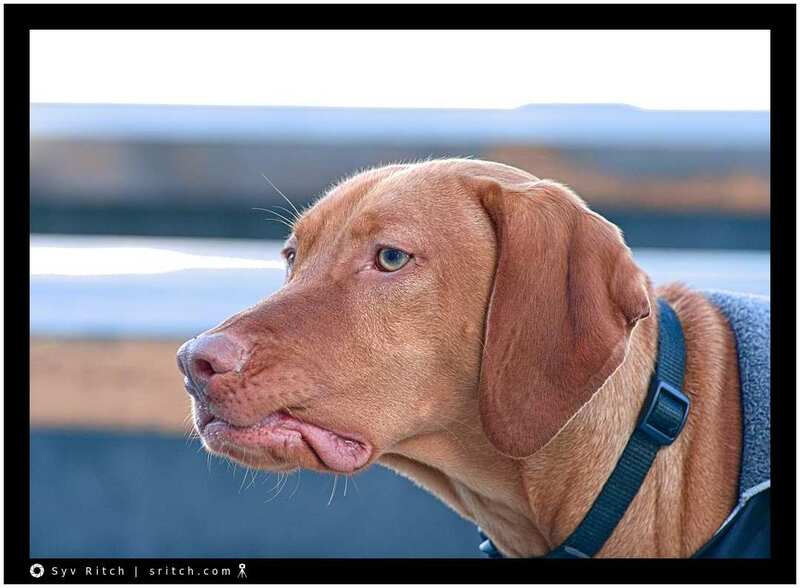 In my ‘neck of the woods’, Vizsla are becoming popular, but I have never seen any play around, run around, chase a ball&hellip; They are very serious dogs.